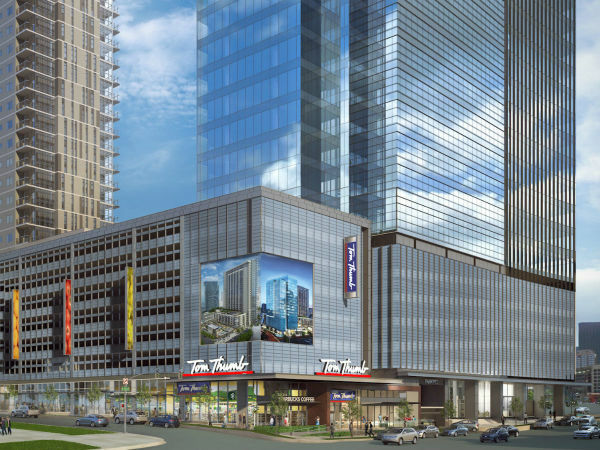 A new restaurant is joining the downtown Dallas landscape from the owners of high-profile restaurants such as Oak and Pakpao. Called Hawthorn, it will open in the lobby of the AT&T Whitacre Tower, as part of a large development by AT&T in the Central Business District. 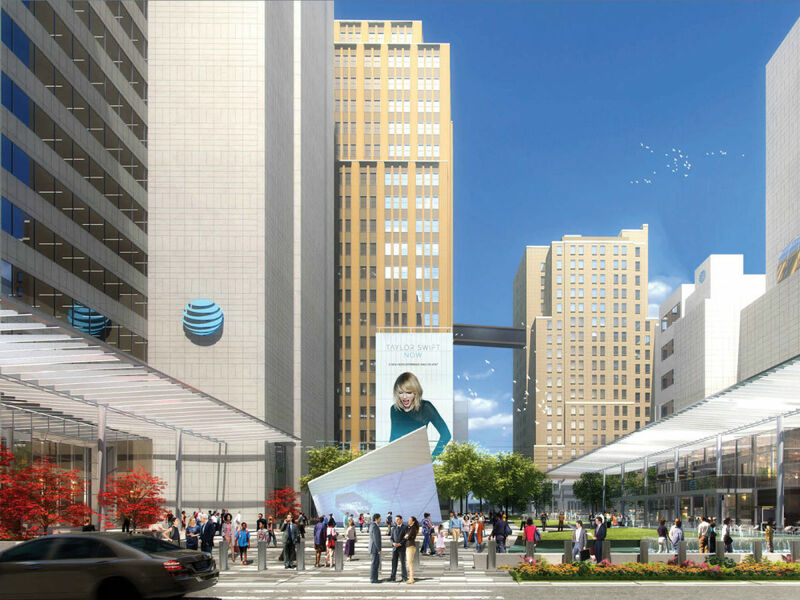 AT&T, whose corporate headquarters already represent a major presence in downtown Dallas, is adding a new district with restaurants, retail, water features, and a park with free wifi. Called AT&T Discovery District, it'll adjoin AT&T's downtown campus, with a goal to create a place where employees, locals, and tourists can spend time. 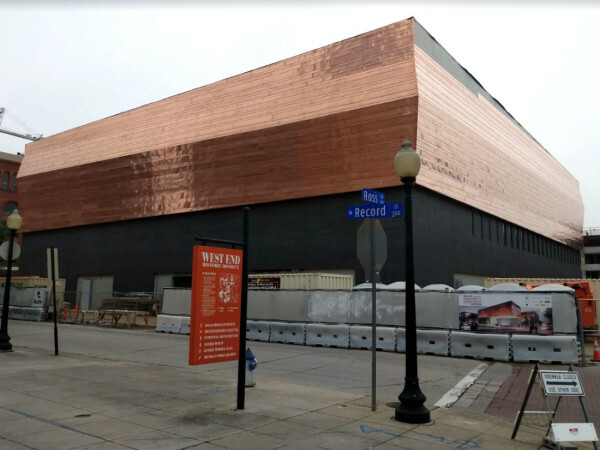 According to a release, the company has signed an agreement with Dallas restaurateur Richard Ellman, who will own and operate Hawthorn, which will be the first of several restaurants planned for the AT&T Discovery District. Ellman's Aphelia Group owns restaurants such as Oak Dallas, Pakpao, and El Bolero. Details are still slim on what Hawthorn be, other than the fact that it is "a steak, seafood, and raw bar concept," a spokesperson says. In addition to Hawthorn, other dining concepts planned for the area include a beer garden. With Biergarten at the Omni Dallas Hotel, that will make two beer gardens almost within toasting reach. "We're looking to inject additional growth, commerce and entertainment into downtown Dallas," says AT&T VP Mike Peterson. "This investment will result in an urban green space that gives people a place to recharge and reconnect. 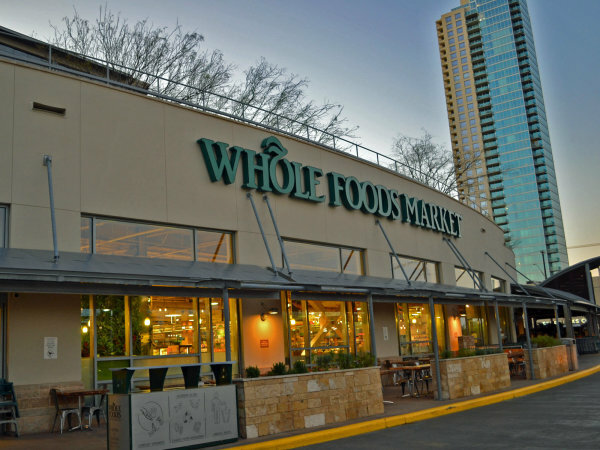 And we couldn’t have done it without the help of the City of Dallas, DART, Downtown Dallas Inc., and local businesses." Work on the district has already begun on Commerce Street between Field and Browder streets. Once construction is complete, the downtown campus will be more walkable, bike-able, and well-lit. With convenience and environmental sustainability in mind, the AT&T Discovery District will also include features like public wifi, on-site recycling, and smart irrigation. A planned designated drop-off lane will provide a safe place to get in and out of vehicles. Prominent lighting features will showcase work in the area. The company already installed exterior lighting to kick off the project in December. There are now more than 100,000 LED bulbs lighting their building every night, which they can transform into colors and designs for holidays and special events. The district will be a mix of cutting-edge technology and green space, including a 425-foot-long water feature ringing the plaza and over 3,500 square feet of open green space. A stage will feature area artists, including bands, singers, and events for kids. An AT&T Discovery Store will offer newest devices, with a multi-story video wall on the exterior to showcase the latest in AT&T entertainment.